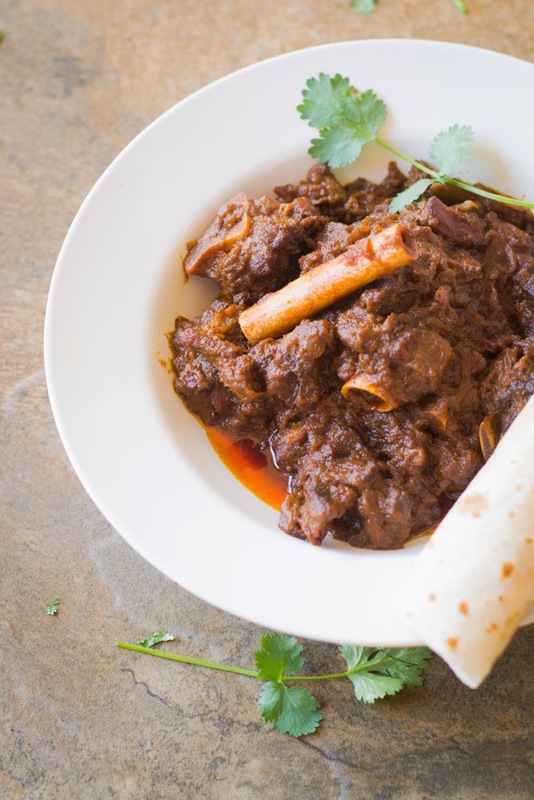 Kosha Mangsho or Mutton Kosha is a spicy Bengali Mutton Curry, which is a traditional and authentic mutton preparation of Bengali Cuisine. 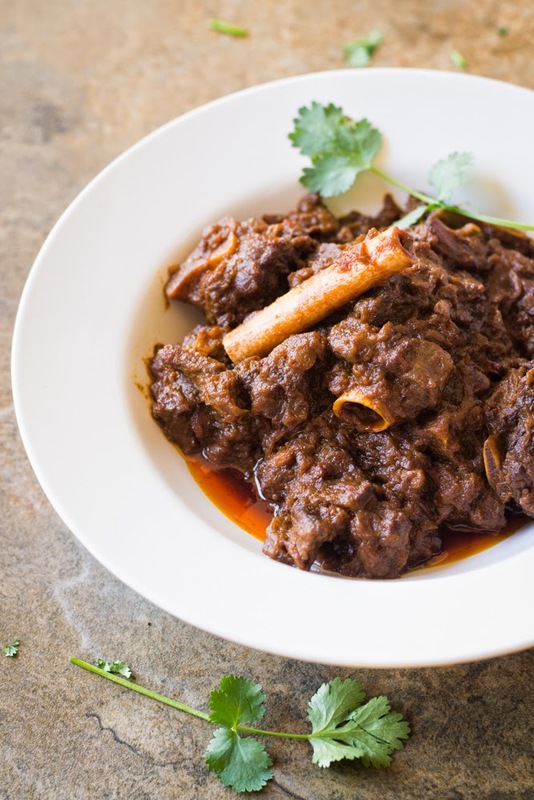 It is dark brown or blackish in color and has thick, finger-licking gravy along with juicy soft mutton pieces. 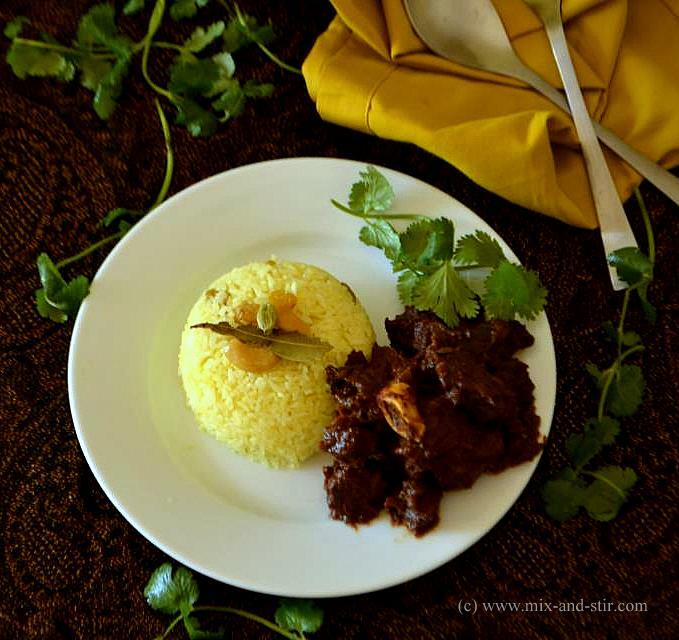 This is one of the most renowned Bengali dishes that never fails to impress anyone. 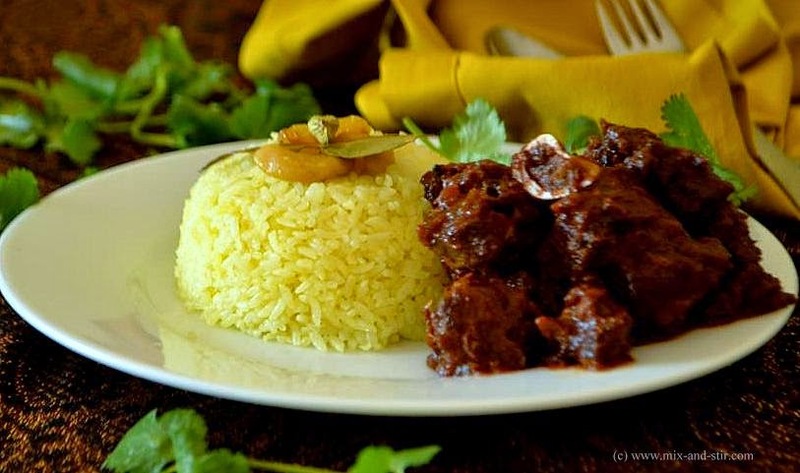 The words Kosha Mangsho always reminds me of my hubby ordering the dish whenever we used to go to a Bengali restaurant in Bangalore. We used to love this along with phulka or luchi. In most of the bong families, you will find this dish in any Sunday lunch. 2. In a heavy bottomed pan heat the oil. Once it is ready, add bay leaves, whole red chili, cinnamon, cardamom, cloves and the pepper corns. 3. Once they become aromatic, add the sliced onions and stir them till it gets golden brown color. 4. Add ginger and garlic paste. Cook again for few minutes till the raw smell goes off. 5. Add mutton pieces and salt. Stir it nicely till the color starts to change. 6. Add the red chili powder and cumin powder. Keep stirring. 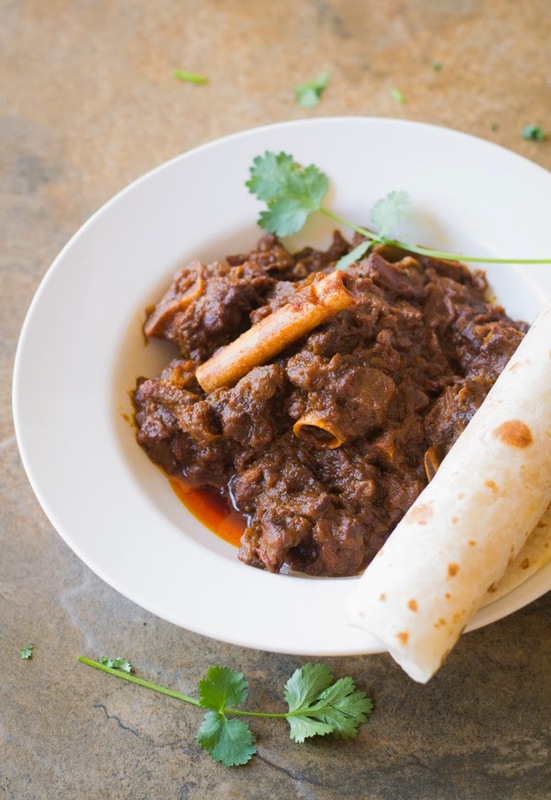 After few minutes, when masala is well-cooked, add the green chili paste and the beaten yogurt. 7. Stir it continuously and cook it till the oil separates. Add 1/2 cup lukewarm water and cook covered over low flame till the mutton pieces get tender. 8. It will take 2 to 3 hrs. If you are in a hurry, put them in a pressure cooker and wait for 3 whistles. Approximately it takes 20 minutes. 9. Once the mutton is done, sprinkle garam masala powder and turn off the gas. 10. Serve hot either with steamed rice, Misti Pulao or Luchi (poori), Roomali Roti or Paratha followed by a Bengali dessert like Mishti doi or Sponge Rasogolla. How do you make garam masala powder?